Leam Holt has done the unthinkable. He’s saved Harbing from utter destruction by consuming the toxin that was intended for the entire town and he’s rescued Eloa’s father from Darkness Headquarters. But at what cost? Stricken by the poison and unable to remember who he is or access his Light side, Leam is captured by Gideon. 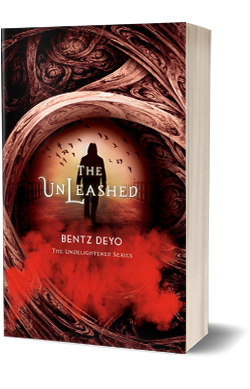 Surrounded by evil, Leam revels in his undiluted Dark power and connects with other violent and corrupt kids, especially the bold and gorgeous Rylan. Still, Leam struggles to piece together his memories, including those of the beautiful Eloa, whom he discovers is in grave danger. While forces of Light work to free Leam, the world is thrown into turmoil. The battle over the prophet, the person who will lead the world into complete Darkness or Light, is heating up, and Leam’s role in the war grows murkier.